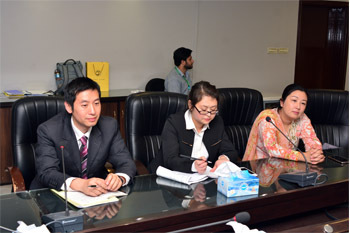 A two member delegation including Mr William, Chief International Student Office, and Ms Fanny, Program Officer from Wuhan University of Technology (WUT), China, visited UMT. 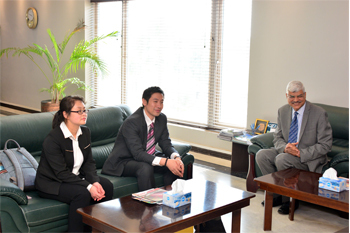 As an academic partner of UMT, the purpose of the visit was to further strengthen the collaboration between both institutions. 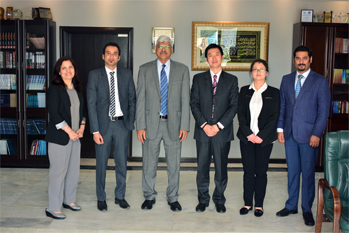 The Office of Internationalization (OIN) arranged the visit that included meeting with Worthy Rector UMT, campus tour, meeting with Dean SBE, MBA and PhD program directors, interview at UMT Social media and Lahore sightseeing. During the visit, multiple future prospects were agreed upon.